One night, I received a call! It was from my cousin Lida who resides in Chicago. She called to tell me that she is moving to Appleton. Oh boy, I thought she was joking. She says she have to do it to move on from a heartbreak. 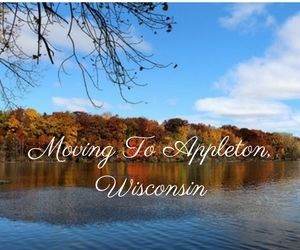 "Why of all cities, you choose Appleton? ", I asked. According to her, the place is quite and traditional. It might be humid but there are times the climate is warm like the people living in that area. I twitched and slumped on a chair. I know she had decided. She laughed at my reaction. When she thought I am worried. She sat beside me and said, "Cousin, don't you worry! I'm a big girl, now. Before I moved to that place, I made sure that I have a place to stay. There is nothing to worry! I searched the Internet and made a list in the City of Appleton jobs that I am going to apply. I think, I'm in, already! I'll be working in a store of Guitar Center of Appleton!". I sighed and hug her. I told her to be careful out there. Just remember to call me. I am always here for her.